Why do certain marketing messages attract our attention while others leave us cold? Thanks to a fascinating podcast by Derek Halpern of the Social Triggers website, I managed to uncover the answer. In the podcast, he interviewed Sally Hogshead, the Chief Fascination Officer of Fascinate, Inc. and author of Fascinate: Your 7 Triggers to Persuasion and Captivation. Done in a candid yet charming fashion, the interview provided interesting insights on the 7 psychological triggers which companies can employ to achieve better and more targeted results in their marketing. According to Sally (she blogs here) we don’t have learn how to be fascinating. Instead, we should unlearn how to be boring! So what are these fascination triggers? Let us begin with the one that gets us “hot under the collar”…. Also considered as one of the seven deadly sins, Lust or Passion can be best exemplified by the example of Marilyn Monroe with her “wet voice”. When you eat something, your mouth literally waters. Similarly, when you hear somebody speak to you in this manner – like Marilyn – the tone, pitch and timbre of her “pillow talk” gets you excited and activates a response. Other than voice, you can also make use of video, descriptive cues, and adjectives to “sound” like you’re in a state of pleasure when communicating across different media. These help to stir the passions of your customers. The next fascination trigger of Mystique draws upon the fact that what you do not say sometimes matters more than what you do say. In a world flooded with information and self important “brandspeak”, it pays to keep people at the “edge of their seats”. To introduce a cliffhanger, introduce a distinct, inimitable experience that is uniquely encapsulated in your product or service. 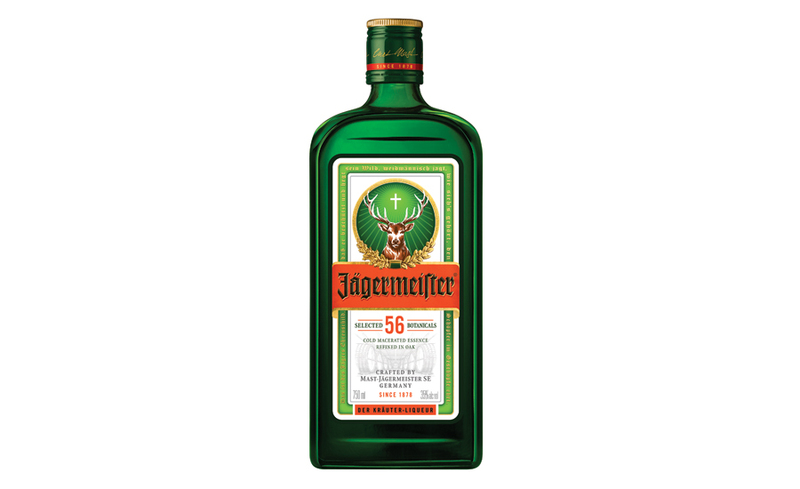 An example is the German hard liquor drink Jagermeister. Strictly for those who can hold their liquor, Jagermeister possesses an almost mythical quality even though most people who drink it doesn’t like how it tastes! Alarm is the trigger that gets people to “panic” and hence, respond to an imminent deadline. This emotional trigger stems from our overwhelming fear of loss, and it can steer people to do something through alerting people on the negative consequences of not taking action. If you don’t do something about it soon, you are going to lose this never-to-be-repeated deal! Examples of the alarm trigger include any promotion, sale or discount that is time-based, urgent, and offered for a “limited period only”. To deploy this trigger effectively, point out the negative consequences of not taking action. This helps to spur people to purchase your product or visit your establishment. This trigger is exemplified by how certain products can cost so much more compared to generic products. In the mid 17 century, tulips were found to be even more expensive than the house and garden in which they were planted in! The highly inflated values of these bulb-like flowers were explained by the irrational need for people to have them due to their prestige. To create an element of prestige, consider how you can increase the perceived respect for your products. Elevate the value of your goods in the eyes of your customers by associating them with positive anchors – for example a celebrity, historic event, or special occasion. Note that prestige isn’t just about raising prices alone, but about “owning a signature moment”. One where you can claim to be rare, unique and prized relative to your competition. Power is conveyed by an authoritative “take charge” attitude in business. It is the reason why a top-notch hawker stall can treat its customers gruffly and bark orders at them yet have long queues day after day. Power is also about leadership and respect for a proprietor or a professional who knows what he or she is doing. To showcase power, it may be useful to take a stand on an issue or topic that you’re confident about. Sprinkle quotations from industry leaders or academics whom endorse you or your product in your marketing messages. By doing so, you will increase your “mojo” in the eyes of your potential customers. People have this inherent liking to do stuff that they’re forbidden to do. Just look at the number of Singapore guys – many of whom are highly paid professionals – who were hauled up for underaged prostitution! According to Sally, everybody has a morbid interest in the dark side. This could be something salacious and saucy while bordering on mischief and naughtiness. For businesses, you can try to inject an element of surprise which deviates from the norm. It can include something that is unexpected like how Groupon which took an established system of coupons and use social media to turn it on its head by pushing it out to people. The exact opposite of Vice, Trust is about stability, dependability and reliability. It is the reason why we order the same dish in the restaurant, or revisit the same old doctor, dentist, accountant or lawyer time and time again. In an age of utter transparency fueled by social media, trust becomes the main currency of commerce. By establishing time-tested patterns of service or product quality, small businesses can leverage on the trigger of trust and ensure that they deliver on what they promise. Simply doing what you say that you were going to do, or exceeding on your promise, you would be able to tap onto the power of trust. For more information on the Fascinate system, do visit Sally Hogshead’s website HowToFascinate.com which comes with lots of great freebies.